For the area, see Najd (area). Najd is a country in the Middle Eastern region of the map, ruled by the historic House of Sa'ud, and the only country that can be used to get the Jihad achievement. It is one of the multiple countries that may form Arabia. Its unique national ideas are well-adapted for Jihad, offering a strong +2 missionaries and a 2% bonus to missionary strength. has a culture of the Levantine culture group, but not Turkish. If the country is AI-controlled, it can not be a custom nation or a former colonial nation. Alexandria (358), Cairo (361), Aleppo (377), Jerusalem (379), Damascus (382), Medina (384), Mecca (385), Aden (388), Sana'a (390), Al-Arid (392), Al-Qatif (394), Muscat (400), Nizwa (403) and Baghdad (410). gains permanent claims on all provinces of the regions: Mashriq, Arabia, and Egypt except Lower Nubia that it does not own. Najd starts out more or less evenly matched with neighbors Shammar, Medina, Dawasir and Haasa. Medina will likely be vassalized early by the Mamluks who will be a major player on the peninsula until the Ottomans eventually move in. 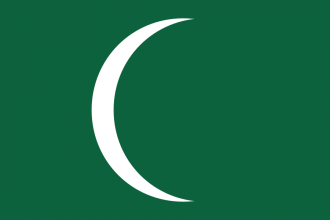 On 11 November 1444 Najd should be able to ally the Mamluks without additional diplomatic reputation. This will provide a strong defensive alliance. The next step is to find a way to embrace the Feudalism institution within 50 years. Haasa and Medina both start with this institution, but Medina will be protected by the Mamluks and Haasa has a level 3 fort which is expensive to siege with starting manpower and finances. The alternative is to develop the institution, but this heavily hampers expansion and technological progress as all of Najd's starting provinces are arid desert (+65% development cost). When planning expansion and rivals, a good goal is containing the Mamluks to allow easier conquests later on. Shammar, Dawasir, and Mikhlaf are key countries to annex early to isolate the Arabian peninsula from further Mamluk expansion. Keep an eye on the rest of the peninsula and be ready to pounce on defeated countries before they can recover from their previous wars. Najd's first strong ally will most likely be the Mamluks or Timurids, in order to protect against Qara Qoyunlu, who will inevitably desire the player's lands. Since Hedjaz is a vassal of Mamluks, it's much harder to unify the Arabian peninsula in the very early game. Najd should improve relations with the Ottomans early, and keep an eye on the possibility of allying them in order to defeat Mamluks. Sadly most of the Arab land is poor so conquering the rich Iraqi provinces from Qara Qoyunlu should be an early goal. This can be done either with the Mamluks as an ally (who usually rival them), or once the Ottomans have decimated their army when they inevitably attack. As their first idea groups, the player should likely take the Administrative idea group (for the reduced coring cost and ability to reform their government) or the Religious idea group (for the Deus Vult casus belli and the extra missionaries and missionary strength). If the player plans to take the Exploration idea group to secure the uncolonized provinces in East Africa, and expand into Asia (via Pasai and Malacca) later on, they should likely take it as their first or second idea group, in order to maximize its value and keep the Europeans out of Asia as long as possible. The Influence idea group is also a solid choice for expansion via vassals. Najd should expand away from the Ottomans until strong enough to stab them in the back. Expanding can be done through Northern Africa, take note of the increased coring cost and of the fact that Tunisia is usually allied to the Ottomans. The Horn of Africa, and the African East Coast, offer relatively easy expansion opportunities, where most countries should be weaker than Najd at this point in time. Mutapa, once the player reaches it, offers several gold mines, which will give a healthy increase of income (and inflation) to the player. The player can also expand towards West Africa by colonizing the two provinces east of Funj or south of Fezzan. Other expansion opportunities are towards Central Asia and India initially, and in South-East Asia once the player colonizes provinces there. It should be noted that the Ottomans, when they are forced to drop one of their rivals, may rival the player once they are a valid rival for them. As such, seek a second strong alliance. Timurids and/or Persia are two countries who are also rather easy to defeat, the former easier than the latter due to the increased morale and usually inferior tech to Persia, given they have not gained strong alliances. If the player is targeting the Jihad achievement, they must be very aggressive in expanding, and it is recommended to (but nowhere near a must) have conquered the entire Arab peninsula, most of Syria and Egypt by 1500 - 1550, and have a foothold in the Persian and Horn of Africa regions. As Najd, own 500 Sunni provinces. This page was last edited on 23 August 2018, at 23:24.